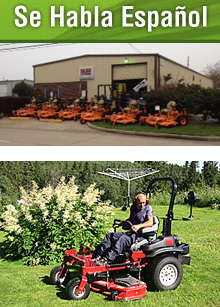 Action Sales & Service offers new and used outdoor equipment, small engine repair service, and parts to Stafford, TX and the surrounding communities including Missouri City, Sugar Land, Richmond, Pasadena, Pearland, Katy, Arcola, Rosharon, Fresno and all of Fort Bend County and Southwestern Houston. We are a family-owned and operated business with a high expectation of customer satisfaction. We pride ourselves in knowing that we provide the best equipment, service and advice to our customers. Our factory trained technicians have been providing our customers with friendly and honest service since 1982. We provide a 30-day guarantee on all service work and used equipment. We are fully insured. We are located on Cash Rd, 1 block east of Murphy Rd. Contact Action Sales & Service today at 281-261-2378. We sell a wide variety of power equipment. All units marked with pink flags are on sale. This is an overstock sale so hurry while supplies last. The sale applies to ECHO, STIHL, SCAG, ENCORE equipment. Copyright © , Action Sales & Service All rights reserved.